Home Travel Trilokinath Temple: Where Religions Merge into One! 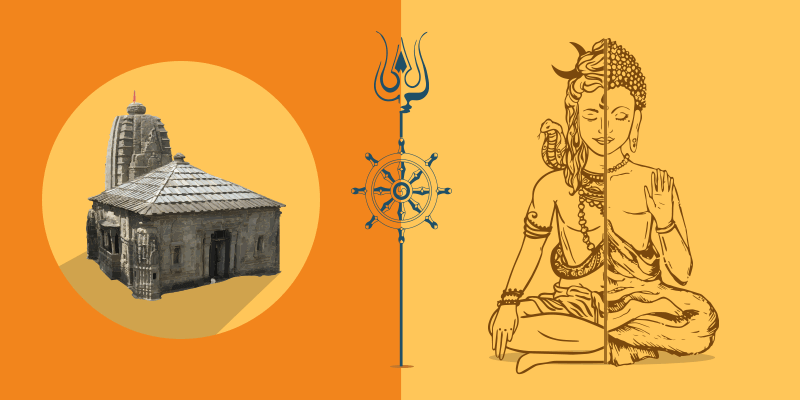 Trilokinath Temple: Where Religions Merge into One! If you thought a trip to the Trilokinath temple was meant for the devoted souls only, think again. The road to this ancient temple can claim to be one of the most adventurous and thrilling roads in India. You get to traverse through the beautiful snow-capped mountains and thick forests until you reach the Lahaul valley. Once there you will find a new meaning to “religious tolerance”. For it is here that Hinduism and Buddhism have co-existed for many centuries. 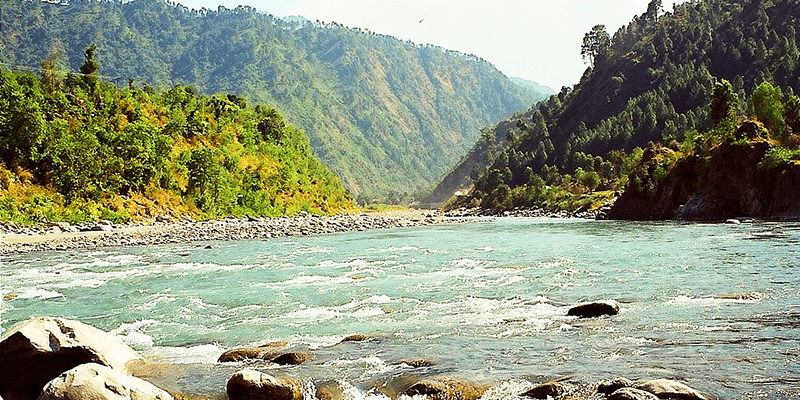 Situated on the left bank of River Chenab, you cannot miss out on the chinning white temple hanging from a cliff. 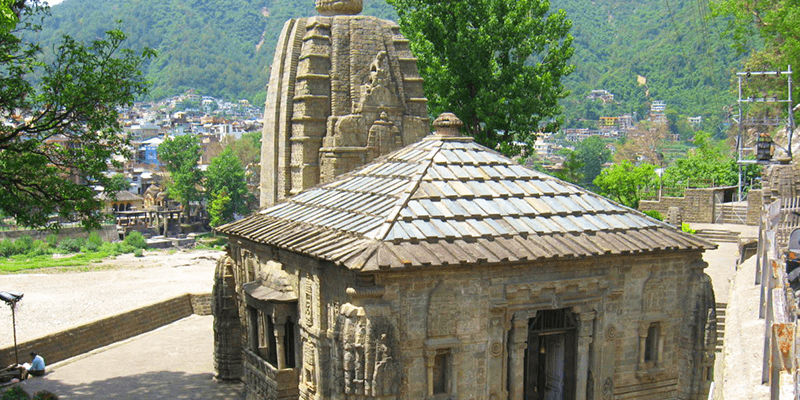 And this is the Trilokinath Temple in Mandi or Chamba (as both the places are nearby). Onward Journey: You hire a cab from the railway station to Manali. From Manali you have to travel further in a bus or taxi to reach the temple. Did you know: Trilokinath Temple is the only shrine in the world where people of two different religions worship the same deity under different names. 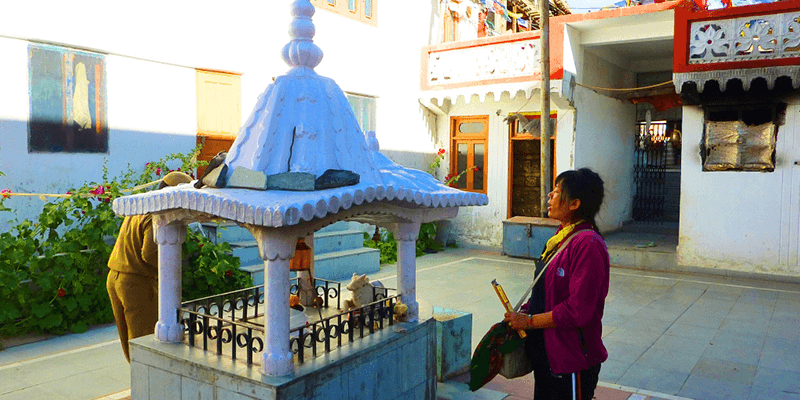 This holy sanctum is dedicated to Lord Shiva (for Hindus) and Avalokiteshvara (for Buddists). The six-armed Trilokinath idol dates back to 2nd century CE and has Lord Buddha sitting overhead. This is the perfect example of religious amalgamation where two religious thoughts are found within the same idol. This is what infuses an air of religious harmony around this shrine. Hindus and Buddhists have been worshiping at this shrine for many centuries. While the puja is performed in accordance to the Buddhist traditions, Hindu devotees are say their own prayers. Hinsa Nalla: When you are visiting the Trilokinath Shrine make it a point to visit this largely unheard lake. This lake is very unique. The water of the lake is milky white and it never changes the color, even during the heaviest rainfall. Keylong: This laid back and beautiful town is situated about 45 KM from Trilokinath. 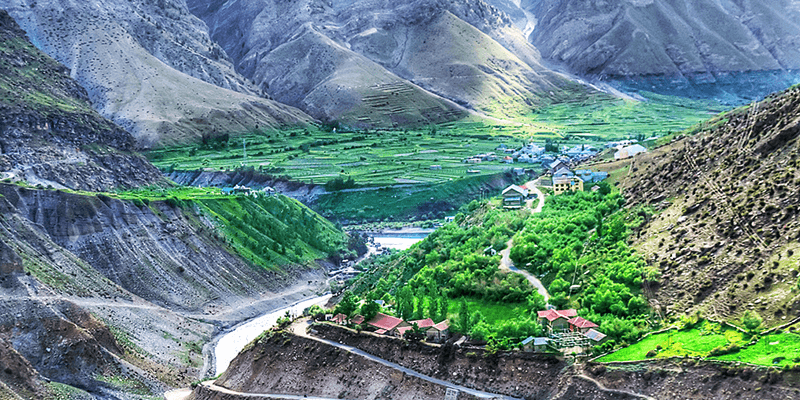 Keylong is the administrative centre for Lahaul & Spiti district. Apart from the enjoying the grand mountain views, a small town lifestyle and some scenic walks, there are plenty of places to tour around. Some of the attractive Keylong places to visit includes Kardhang & Shashur monasteries, Barachaa La Pass and Suraj Tal. Rohtang Pass: Located at an altitude of 13,050 ft, Rohtang Pass is the gateway to Lahaul & Spiti Valley as well as the Ladakh region of Jammu & Kashmir. This surreal and dreamy landscape of glaciers, enchanting snow peaks rising above the clouds and serene Chandra River, will surely enthrall you. Two major attractions of Rohtang Pass are Rohtang Tunnel and Snow Point. The Rohtang Tunnel that is being constructed, will be one of the longest tunnels in India when completed. While the Snow Point in Rohtang is a vast stretch of snow between Rani Nullah and Rohtang Pass. 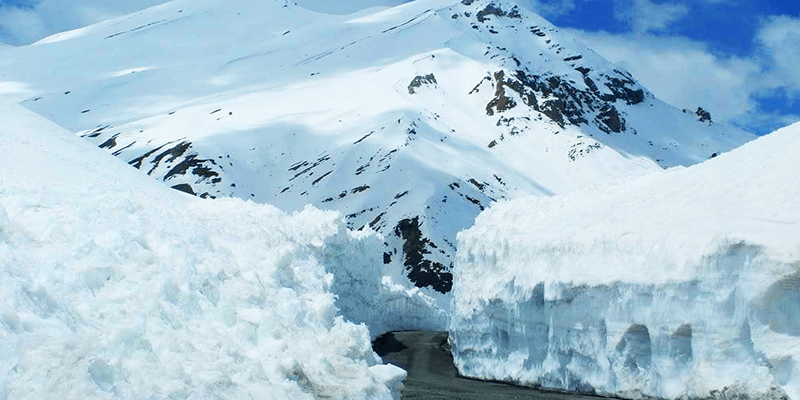 This vast stretch of snow turns into a theme park when Rohtang Pass is open. Many local vendors set up their shops in this stretch and there are many types of rides (such as yak rides, and snow mobile rides) available.